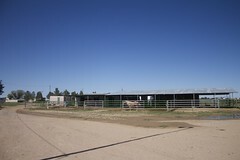 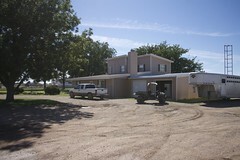 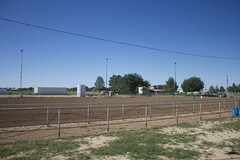 Located at 902 E. Charleston Rd, Roswell, NM., in Chavez County. 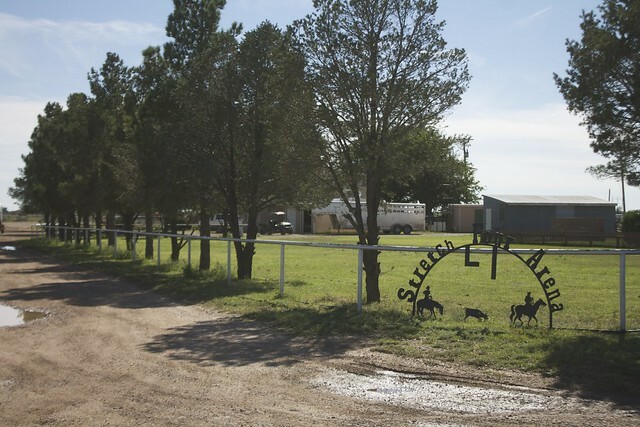 This 16 +/- acre property is a horse persons dream; with an arena, main house, shop, hay barn, horse stalls and a tack room. 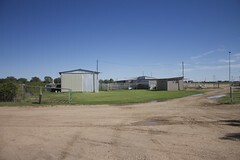 There are a few out-buildings, as well as a nice metal shop. The property is equipped with telephone, electricity, propane, septic, county water and a domestic well. 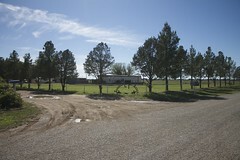 Access to the property is off a state highway with a gravel entrance. 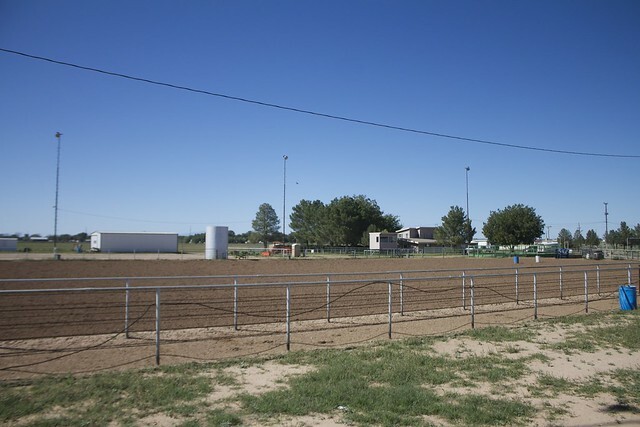 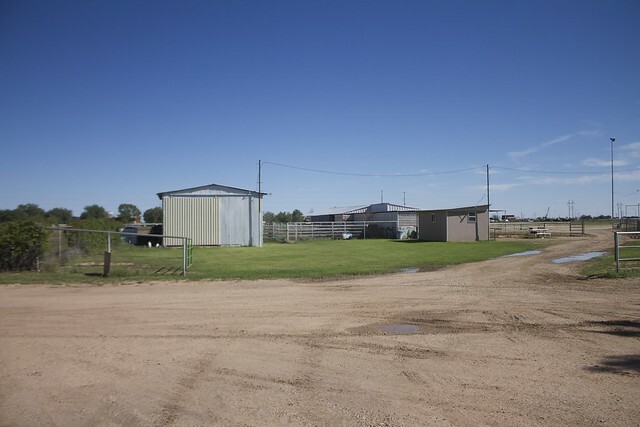 The sale of the property includes all water and mineral rights. 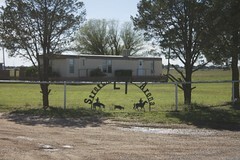 No restrictions are known. 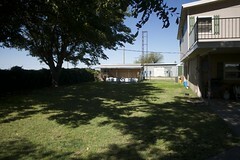 Level with pretty pine trees and nice yard. 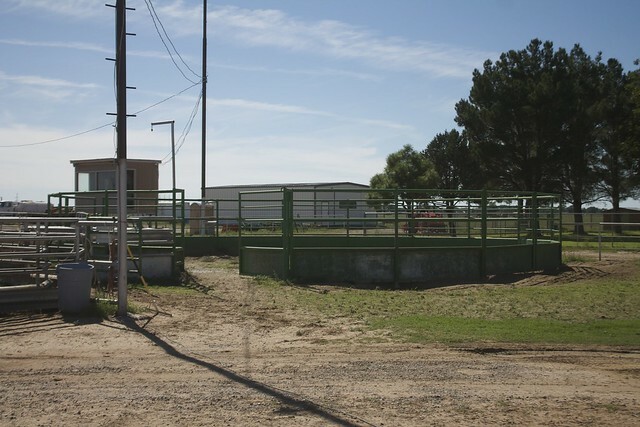 The water source can be changed from the domestic well to county water just by swapping it over, as needed. 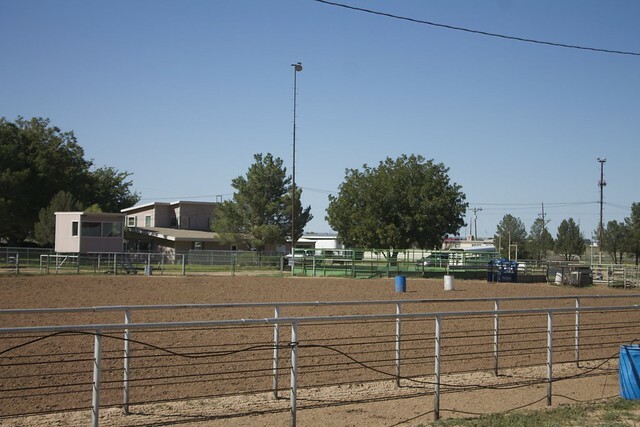 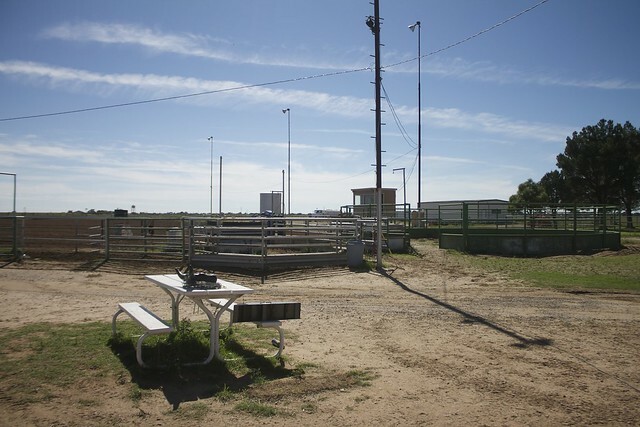 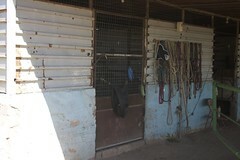 The arena is equipped with a priefert roping chute, lights, crows-nest, and a round pen. There is also a water storage tank with a pump for hauling water by truck to water down the arena. The barn is open concept with one side of the barn containing 3 box stalls and 7 pipe runs under shed. 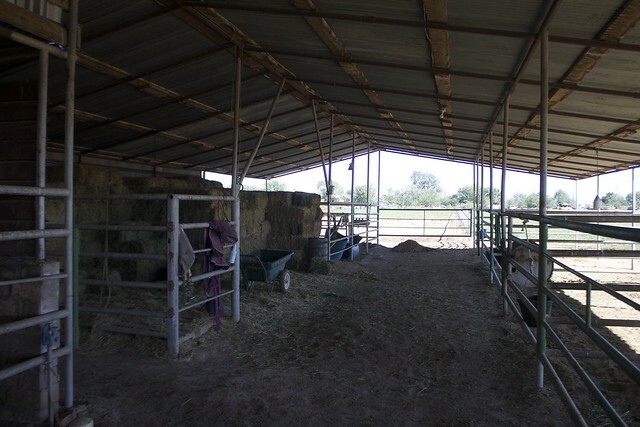 The other side is used for storing hay. 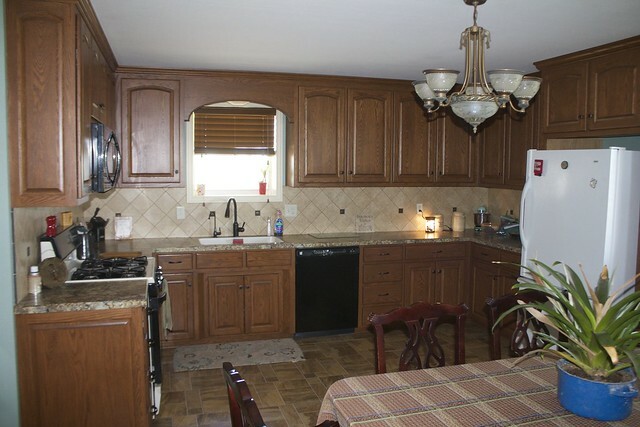 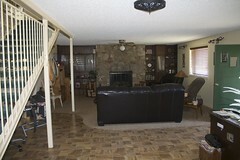 The main home is split-level with 3 bedrooms, 2 full bathrooms and 2 car garage; the appliances are included. 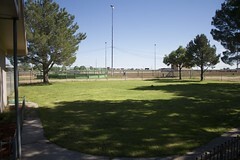 There is a sprinkler system for the yard. There is an additional 2 bedroom, one bath mobile home on the north side of the property that can be used for added income as a rental, if you so choose. Priefert Roping chute and round pen. 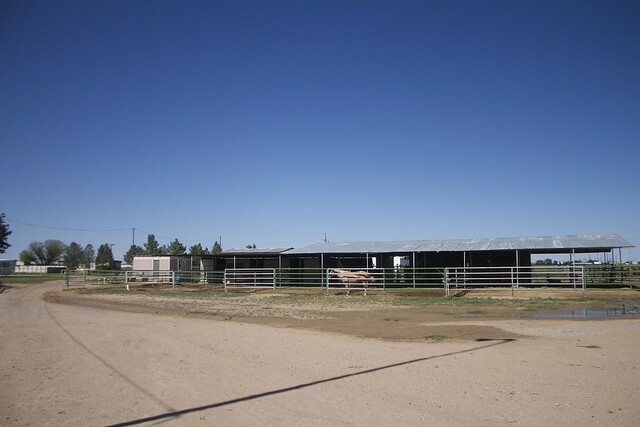 This 16 +/- acre property is a horse persons dream. Don’t let this pass you by.